1) Use a meaningful title. Just as you would carefully title tag for an important site page, do the same for your video. What is it about? Product type and use? Demonstration or how to? Get those key words in there at 65 characters or less. 2) Description. Just like any page you want indexed well for content, your video description is important. The first 30 characters will be the visible meta description in search but also make sure to include other important descriptive info like links to your website or blog. 4) Size matters. 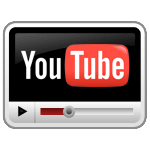 The average length of most viewed videos on YouTube is about 4 and a half minutes. Longer running times seem to cause viewer fatigue, so keep your message complete, but short and sweet. 5) If the video is just embedded on your website, it would be helpful to use schema.org markup test to help the search engines index the content for better search results. 6) Transcriptions, closed captioning and subtitles can all make your video easier to understand. Don’t be afraid to play around and see what gets you the best results.